Nikon has announced its ultra-compact COOLPIX camera, the S02. The new camera fits in the palm of your hand and sports a 13.2MP CMOS sensor paired with a 3x 30-90mm f/3.3-5.9 Nikkor lens, a 2.7" touch screen LCD, a built-in flash, full HD 1080p video recording function, and an array of creative effects. The S02 will come in silver, white, blue, and pink body colors and will be available for around $180 in September. 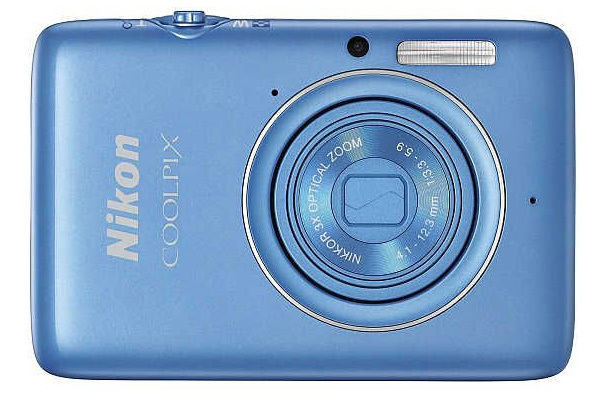 MELVILLE, N.Y. – Today, Nikon Inc. introduced the tiny COOLPIX S02, a stylish, super-compact camera that proves great image quality can come in small packages. 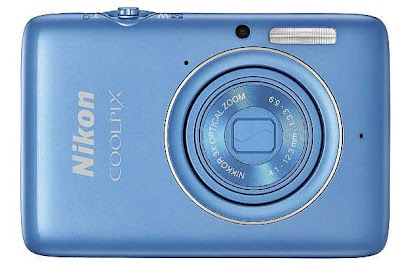 The new COOLPIX camera is ideal for those who seek easy-to-use features and speedy performance whether on-the-go or out on the town with friends. The S02 is a stylish, hip and inexpensive ultra-mini compact camera, and a great gift for the trendy individual. The COOLPIX S02’s ultra-compact design houses a 13.2-megapixel CMOS sensor to help users capture amazing image quality and Full HD 1080p video, even in challenging lighting conditions. The 3x zoom NIKKOR lens of the S02 helps produce truly exceptional images that only a camera with a zoom lens can help capture. Though astoundingly small, the S02 is easy to operate thanks to a highly responsive 2.7-inch touch screen, letting the user focus on capturing every precious moment.